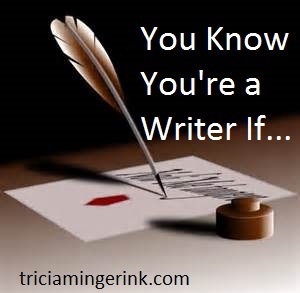 So why am I writing a post on history when this is a writing-centered blog? I happen to love history. History is, after all, God’s Story. It is the biggest, most elaborate, craziest Story that has ever been written. Take, for example, the founding of the U.S. Navy. 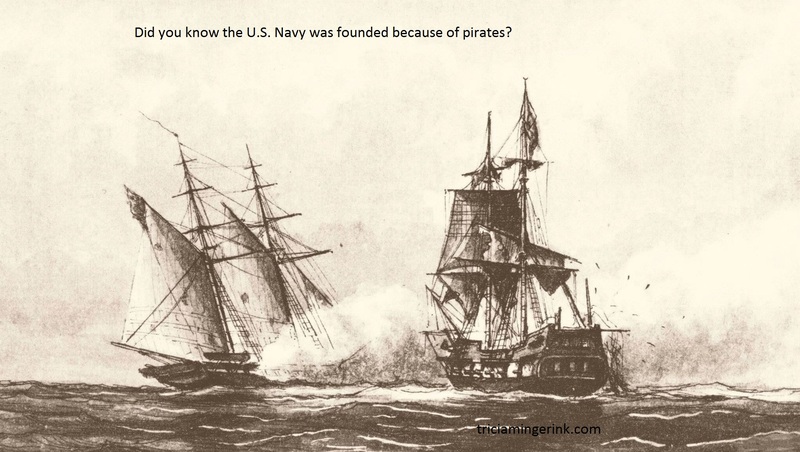 Did you know our Navy was founded because of…pirates? In the Revolutionary War, George Washington wanted the Continentals to found a navy to combat Britain’s navy. With the exception of John Paul Jones and a few others, this initial navy was a dismal failure. After a few years once the U.S. Constitution was written and George Washington became the first president, the United States’ survival was still uncertain. Without the protection of the British navy, the ships and shorelines of the new country were vulnerable. The Barbary Corsairs were a group of pirates that operated out of the North African states of Tripoli, Algiers, and Morocco. They preyed on European shipping, raiding their ships and taking their crews captive to sell as slaves in Africa. The big powers, like France and Great Britain, paid massive amounts of money to these Barbary states to buy supposedly safe passage for their ships. When the United States had been a colony of Great Britain, their shipping had been protected by this tribute. As a separate country, the ships of the United States were now fair game for the corsairs. So in 1794 President George Washington brought up the idea of starting a navy for the second time. Chaos ensued. Finally, someone in Congress got the idea of a compromise. Congress approved the building of six ships as long as a treaty with the Barbary corsairs was also pursued. If a treaty was signed, then the work on the ships would stop. Late in 1794, a treaty with the corsairs was worked out where the United States would pay the corsairs a lot of money as tribute. The amount of tribute was so high it could have built sixty ships. This treaty kind of worked for a while. The United States struggled to pay the tribute and even gave the corsairs a brand new ship as part of the payment (yes, let’s give the pirates a nice ship so they can attack us more). Work on the six ships the Congress had approved did eventually restart and they were finished in 1797 . The corsairs continued to raid U.S. merchant ships because they knew the U.S. couldn’t do anything about it. By 1801 Mr. Anti-Navy himself, Thomas Jefferson, was President. Public outcry over the corsairs grew so bad that he declared the U.S. would no longer pay tribute. Tripoli promptly declared war, making them the first foreign power to declare war on the United States. Thomas Jefferson sent the U.S. Navy into its first, official war. While the Barbary War didn’t end the tribute, it did reduce it and give the sailors in the Navy valuable experience. After the War of 1812 ended in 1814, James Madison decided to end the tribute to the Barbary corsairs once and for all. This time, the Navy had the confidence of surviving a war against Great Britain, the foremost naval power of the world at the time. It could handle a few pirates. By the time the U.S. Navy finished the second (brief) Barbary War, the Barbary States were paying the United States for damages. A few years later, Great Britain and France realized that if the upstart Navy of the United States could handle the Barbary corsairs, then their navies could too. They both attacked the Barbary States, ended their tribute, and basically ended the reign of the Barbary pirates for good. From then on, the U.S. Navy has been a permanent part of the Federal Government. All because of a bunch of pirates. Crazy, huh? What do you think? Would you have written a fictional world where a navy was founded because of pirates?